In the 1560s, four side chapels were erected above cathedral’s galleries. 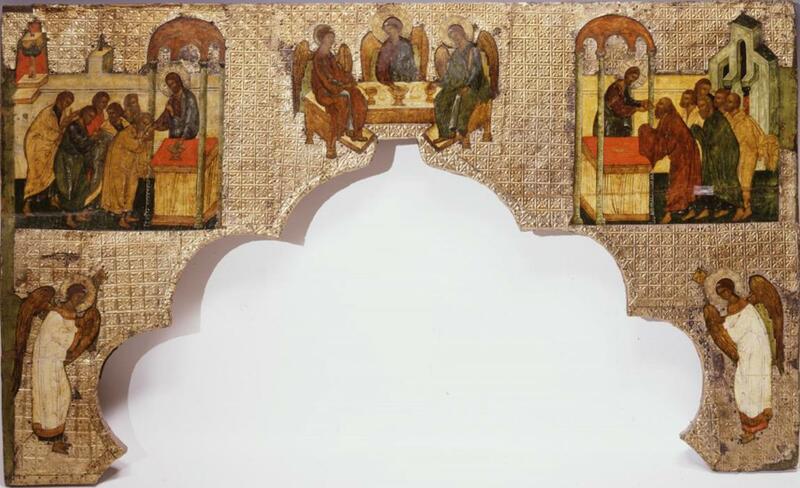 Iconostases of three of them have survived to this day; they were first mentioned in the records of 1613. Icons from the side chapels are displayed in six showcases. 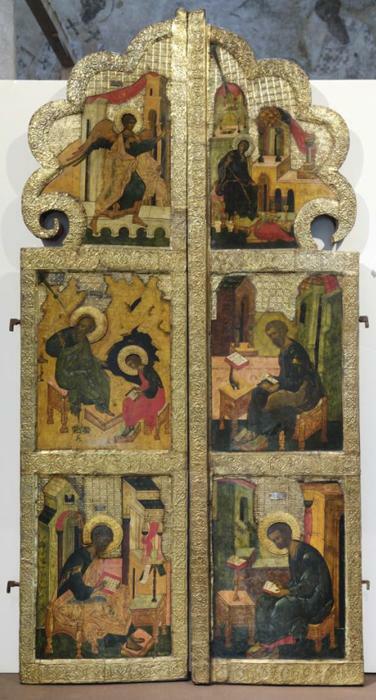 The four-tier iconostasis from the chapel of the Synaxis of the Archangel Gabriel represented in a separate showcase by the southern wall of the gallery is in the best state of preservation. 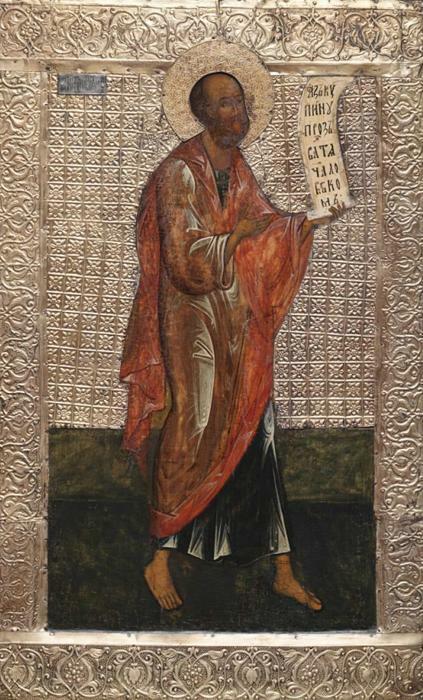 The style of its icons makes an amazing combination of painting techniques of icon painters from Moscow and Novgorod. The whole complex dates back to the time when the chapels were consecrated—that is about 1564. 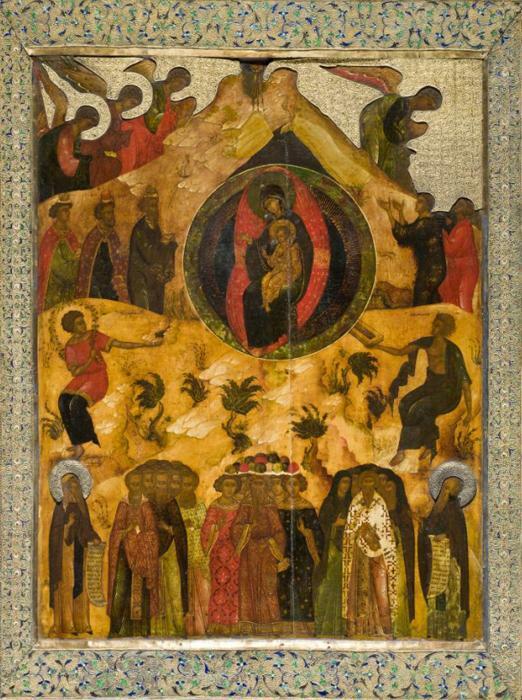 It comprises the Deisis, Feast, Prophets’ tiers and the Veneration tier consisting of three icons. 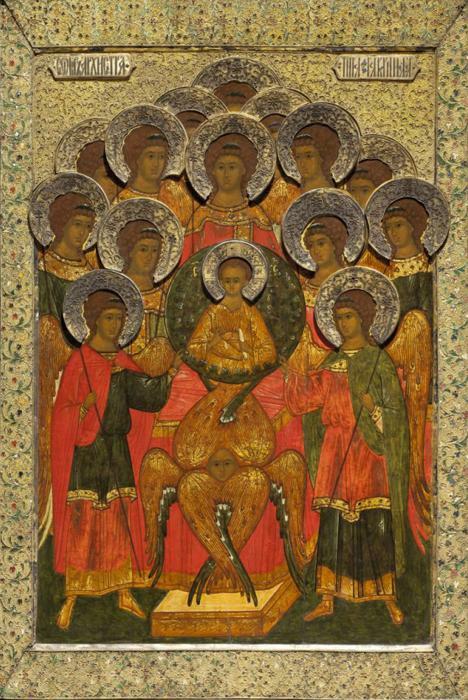 The tiers’ composition is formed in the tradition of the 15th - beginning of the 16th-century iconostasis, with the difference that each image of the Deisis and the Feasts’ composition are painted on one tablet. 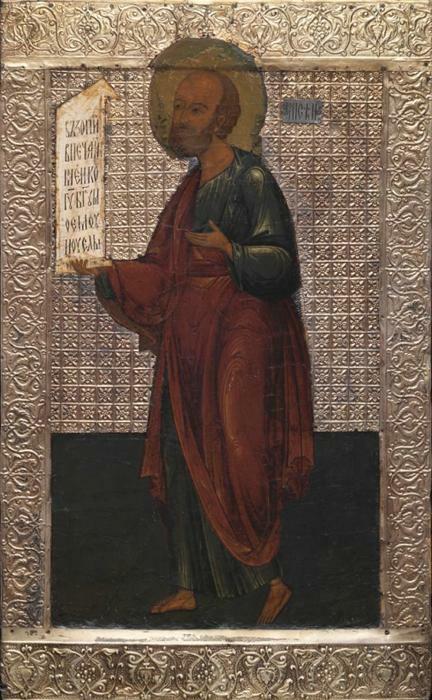 The peculiarity of the Prophets’ tier is the central icon depicting on one tablet the Virgin Enthroned and Prophets Solomon and David Interceding. 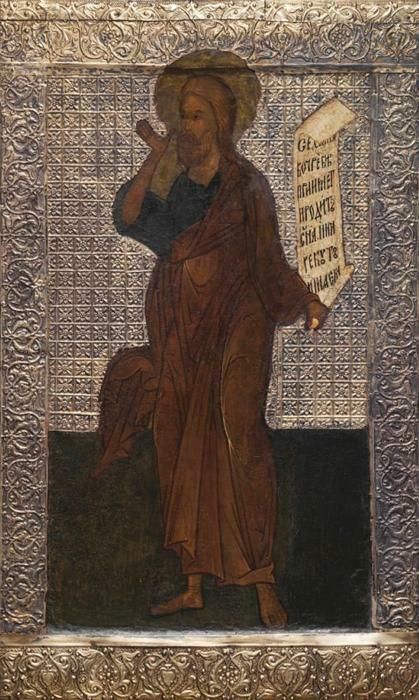 The door of the iconostasis bears the image of the Good Thief who came to believe in the Saviour in his extreme moments. 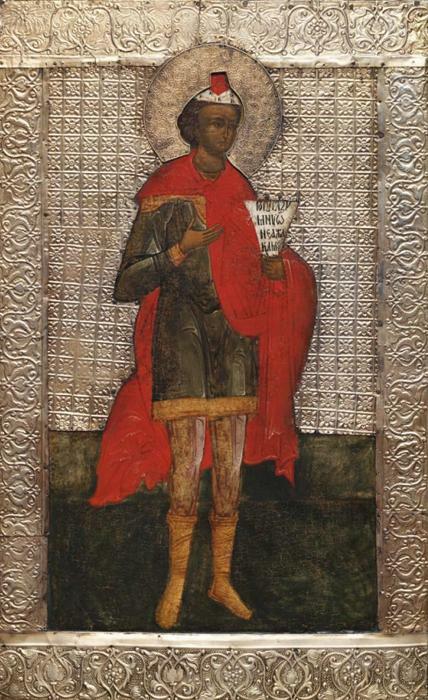 He is depicted against the Garden of Eden with just a breechcloth, holding his cross. 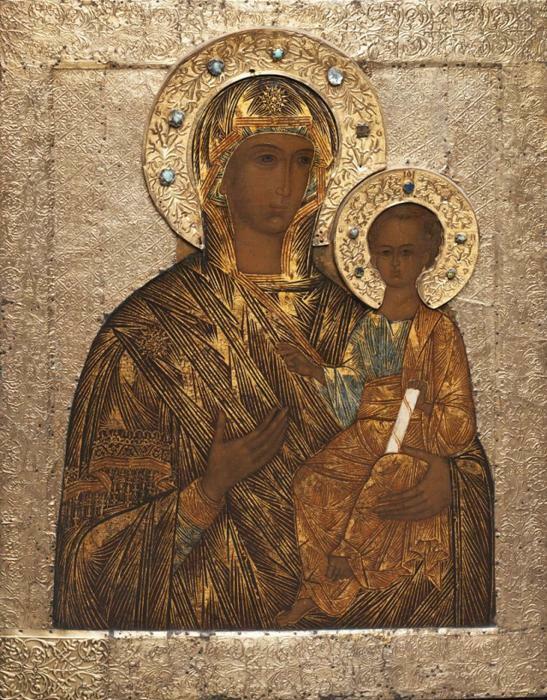 The icon of Our Lady of Smolensk is a same-size replica from an old Byzantine icon of Our Lady Hodegetria that was transferred from Smolensk to Moscow and placed in the Annunciation Cathedral in the 15th century. 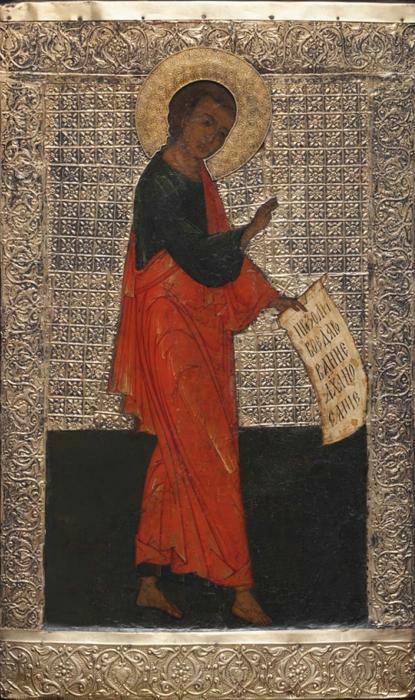 From then on numerous replicas from that icon have been made in Rus’, especially in Moscow lands. 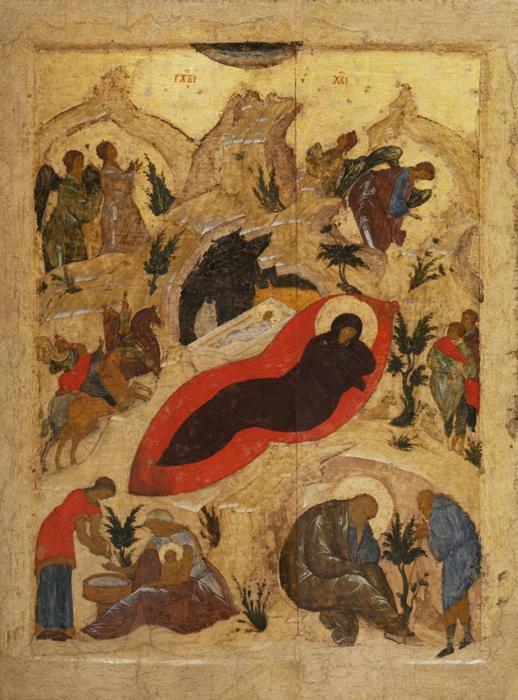 In the mid 16th century, this image became a protector and patron in military campaigns. 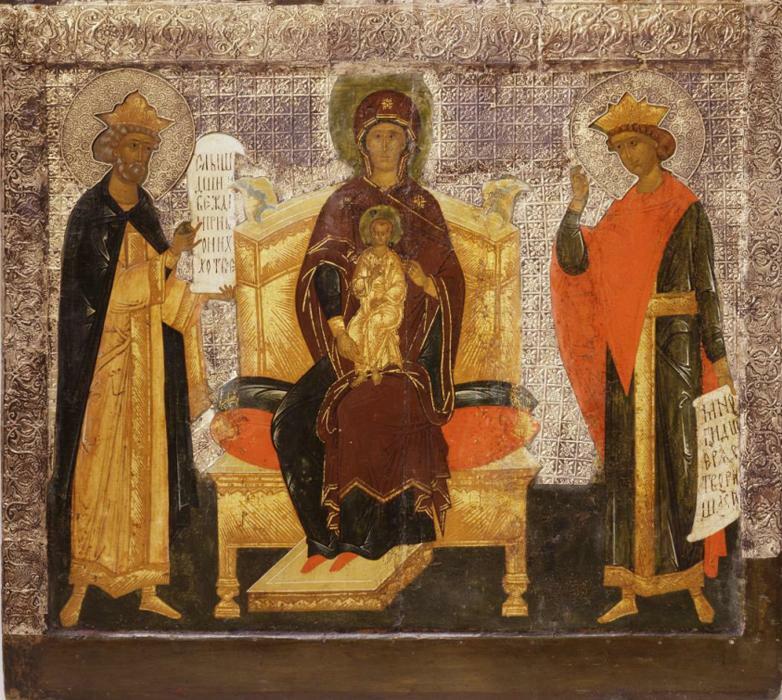 It is known, that before starting the Polotsk campaign in 1563 Ivan IV the Terrible prayed before the icon of Our Lady of Smolensk, which by that time had been transferred from the Annunciation Cathedral to the Novodevichy Convent. 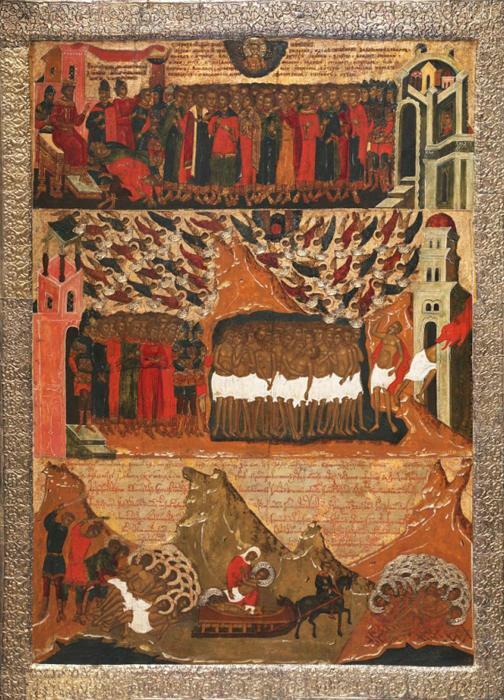 That replica from the ancient icon was made for the side chapel commemorating the victory of the Tsar in the Polotsk campaign. 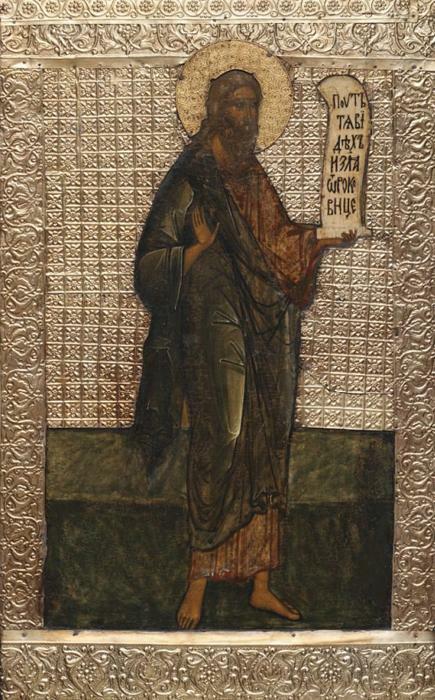 The icon of the Synaxis of the Archangel Gabriel is the patron icon of the chapel. Two other side chapels of the Annunciation Cathedral are represented by the icons from the Veneration tier. 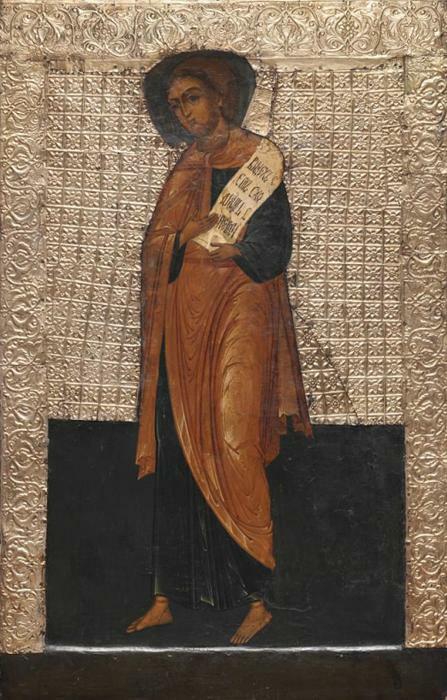 The patron icon The Synaxis of the Most Holy Theotokos, the Nativity icon of the first quarter of the 15th century, which became one of the most vivid discoveries of the restoration work of the second half of the 20th century, and the Forty Martyrs of Sebaste, painted in the end of the 16th century, originate from the side chapel dedicated to the Synaxis of the Most Holy Theotokos. 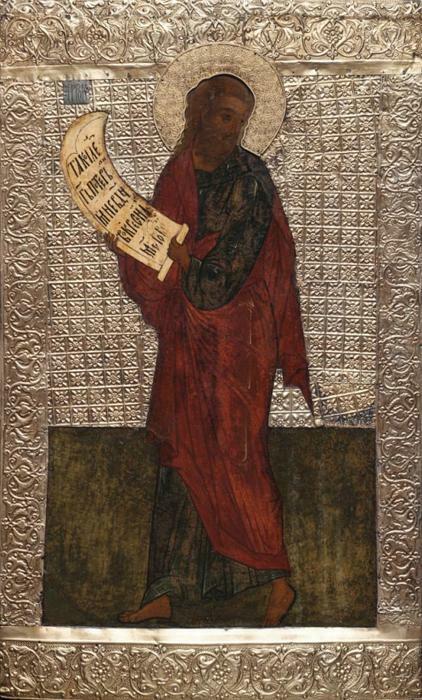 The Entry into Jerusalem and the icon of St John the Precursor, who was a patron saint of the first Moscow Tsar Ivan IV, originate from the chapel of the Entry into Jerusalem. 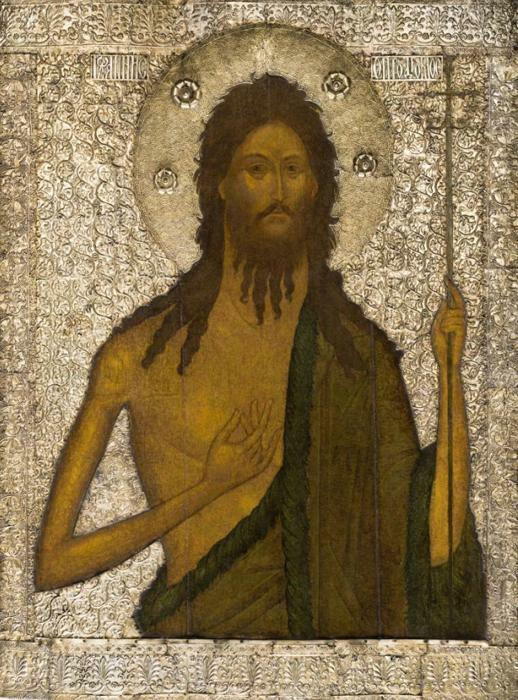 Both icons were painted in the 1560s and represent Moscow art style of that time—solemn, exquisite and representational, with a surprising variety of ideas and forms of their realization.